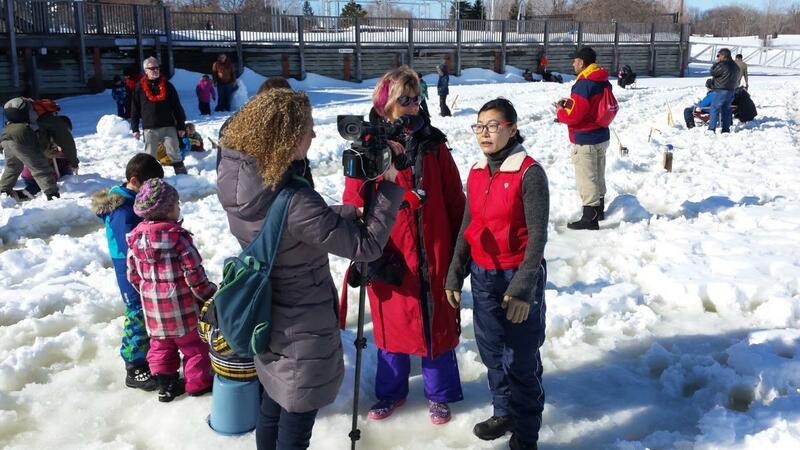 We organized an ice fishing fundraiser in support of our Friends of the Family Project in collaboration with Drop in Sports. We had an amazing turnout (more than 450 people! 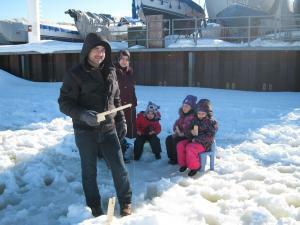 ), with at least 150 ice fishing holes drilled. Adults and children had lots of fun, laughter and it was a new experience for many newcomers and Canadians. Unfortunately, not even one fish was caught! We are thrilled to announce that we have raised over $4,000. Thank you very much Dan Dubeau and Drop In Sports for organizing the event. We would also like to thank Councillor Matthew Fleury who attended the event.